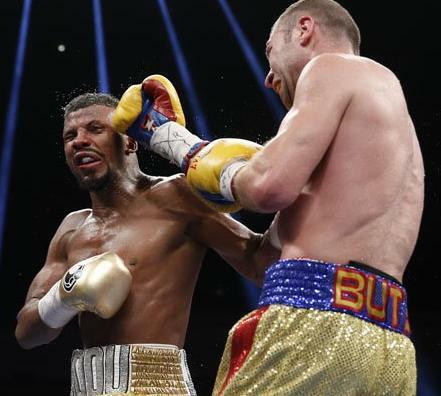 WASHINGTON -- Super middleweight world titleholder Badou Jack was not a happy camper after a hard-fought majority draw against former titleholder Lucian Bute on Saturday at the DC Armory, but he at least kept his belt and will move on to much bigger business in the fall. Two judges scored the fight 114-114, while the third judge scored it wide for Jack 117-111, a score that seemed more in line with reality. ESPN.com had the fight for Jack 116-112. Badou Jack vs. Lucian Bute: I had a short story on the Jack-Bute result almost completely written and ready to post on RingTV.com by the end of their fight Saturday in Washington, D.C. All I had to do was plug in the scores that would give Jack a one-sided unanimous decision, which the WBC super middleweight titleholder had earned. Then Jimmy Lennon Jr. announced the scores: Stephen Rados had it 117-111, which reflected what happened in the ring. However, Glen Crocker and Omar Mintun Sr. scored it 114-114, making it a majority draw. Huh?